Exchange-traded funds (ETFs) offer investors exposure to a diverse range of assets and are currently one of the fastest growing investment products in the world. ETFs are effectively mutual funds that trade like stocks. By trading a single ETF share, investors can gain access to an entire index without the burden of investing in each of the constituent securities — making ETFs a highly efficient investment tool. But unlike stocks, where price discovery is a function of supply and demand throughout the trading day, an ETF is a collection of securities whose underlying valuation can be calculated as a result of the portfolio’s transparency. This transparency, coupled with the ETFs creation and redemption process, creates a constant loop of pricing information that is used to create an arbitrage opportunity for traders should the fund’s price get out of line with its expected underlying net asset value (NAV). As the supply and demand for an ETF fluctuates, authorized market-participants swap the basket of underlying securities for shares of the ETF to control the volume of ETF shares in the marketplace. They offer investors exposure to the performance of a whole index or market segment in one transaction. ETFs can be traded throughout the day in the same manner as a stock. What do ETFs offer investors? ETFs offer the flexibility to be traded throughout the dayfor the market price at execution. ETFs based on indexes are cost-efficient because in one transaction they allow investors to trade all components of the underlying index. Investors are not charged any entry or exit fees and the management fees are generally lower than for mutual funds. However, because ETFs are exchange-traded, investors incur the same transaction fees they would for buying or selling stock. ETFs are transparent since they list on regulated markets and often replicate transparent indices. Pricing is continuous throughout the trading day and competitive bid/ask prices are provided by market makers. ETFs have become popular investment instruments in the U.S. and have experienced phenomenal growth over the past decade. 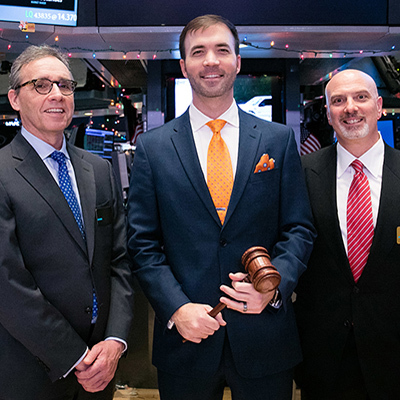 The benefits of transparency, diversification, intraday-trading access and potential tax-efficiencies offered by ETFs led to the dramatic expansion of NYSE Arca's ETP marketplace. The ETP Monthly Flash has been produced to provide you with an overview of ETFs listed on NYSE Arca. Here you will find information regarding the number of ETF listings, new listings during the month and turnovers. Explains their tagline "Your ETF, Your Way"